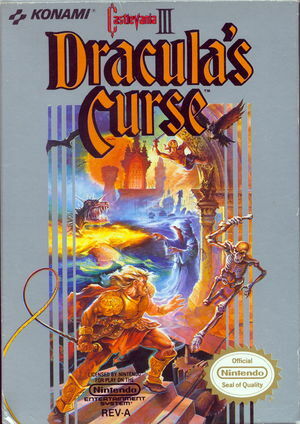 In Castlevania III: Dracula's Curse, known in Japan as Akumajō Densetsu (悪魔城伝説, lit. Devil's Castle Legend), take on the role of Trevor Belmont, forefather of Simon, and battle Dracula in a time long before the events of the first two Castlevania games. In addition to his trusty whip, Trevor has a power never before seen--the ability to transform into one of three different companion spirits that he meets at various points in his quest: Syfa, a young vampire hunter capable of powerful magic; Grant, a ferocious pirate who can climb on walls; and Alucard, forgotten son of Dracula, able to shoot fireballs and transform into a bat. Lead on with bravery as you overcome 17 levels of never-ending horror. 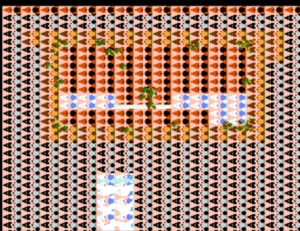 Use an assortment of weapons (some specific to each character) as you choose which path to follow in your fight against Dracula and his army. The graph below charts the compatibility with Castlevania III: Dracula's Curse since Dolphin's 2.0 release, listing revisions only where a compatibility change occurred. This page was last edited on 2 January 2018, at 06:20.